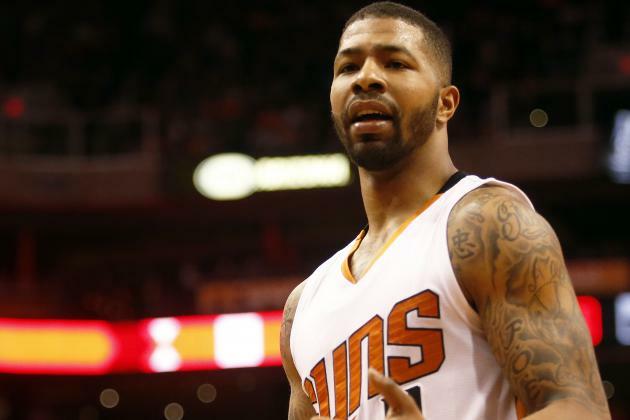 The Washington Wizards traded a protected, applicable to picks 1-9, first-round pick as well as the expiring contracts of Kris Humphries and DeJuan Blair to the Phoenix Suns for stretch-four forward Markieff Morris, 26. Morris (6-10, 245) was the 13th overall pick in the 2011 NBA Draft and has averaged 11.4 points and 5.4 rebounds during his career. The talent has never been in question as he can be a serviceable stretch-four option, but is attitude is of greatest concern. 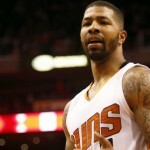 Morris recently was seen choking teammate Archie Goodwin on the Suns bench after previously throwing a towel at his then head coach, Jeff Hornacek. 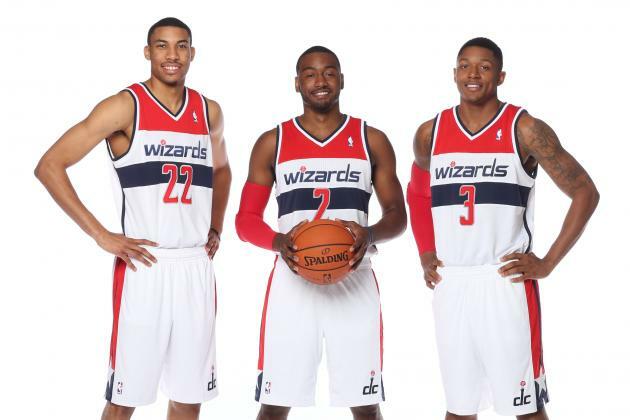 It is a new year for the Washington Wizards, who probably want to leave the heartbreak of 2015 in the past. 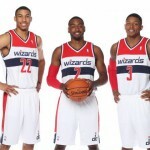 Now they have to continue weathering the injury storm in order to stay in contention for the Eastern Conference playoffs. It is hard to believe Washington was able to pull off a .500 record (8-8) in December when they missed time from eight players of meaning. John Wall had a lot to do with that by being the first player since Chris Paul in April 2009 to average 22+ points, 11+ assists, 4+ rebounds, and 2+ steals per game during an entire month. Wall recorded another double-double, 22 points and 12 assists, but got great support from Kris Humphries in the fourth quarter to down the Magic 103-91. Tonight marked the eleventh straight victory for the Wizards over the Magic as they continue to “own” Scott Skiles’ team. The Washington Wizards have been without the services of Nene, Kris Humphries, and Drew Gooden in recent weeks leading to a depleted frontcourt. With Bradley Beal sitting out Friday night’s game in New Orleans with a sore right leg — a possible reaggravation of last year’s stress fracture that kept him out of eight games — Randy Wittman had only ten players available to him. John Wall had another strong game with 26 points, 12 assists, and seven rebounds, but it wasn’t enough. 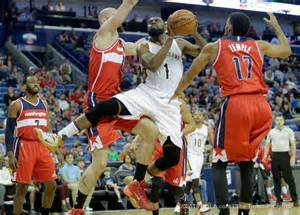 Washington allowed the Pelicans to set a franchise record of 16 made 3s, five by Tyreke Evans, and could not hit the big shot late. The Wizards fell to 9-12 on the season after a 107-105 loss to begin their four-game road trip. Five games removed from having a career shooting performance from beyond the arc for Kris Humphries, Randy Wittman moved trade acquisition Jared Dudley into the starting lineup because he is playing like a “crazed animal”. Washington was desperate for a win to end the grueling four games in five nights stretch, while Toronto was hoping to get a bit of revenge for getting swept in last year’s playoffs. In a game without the services of Nene, Gary Neal, nor Drew Gooden, Washington’s bench was short-handed. Washington led for most of the night, but after back-to-back missed free throws from John Wall, the Wizards gave up a corner three as time expired to lose 84-82. Toronto got off to a 9-4 run to start the game including a 30-foot jump shot from Kyle Lowry with 0.5 seconds on the shot clock. Then Marcin Gortat, who apologized to the fans on Friday night, started to get going by starting 4 of 4 from the floor. 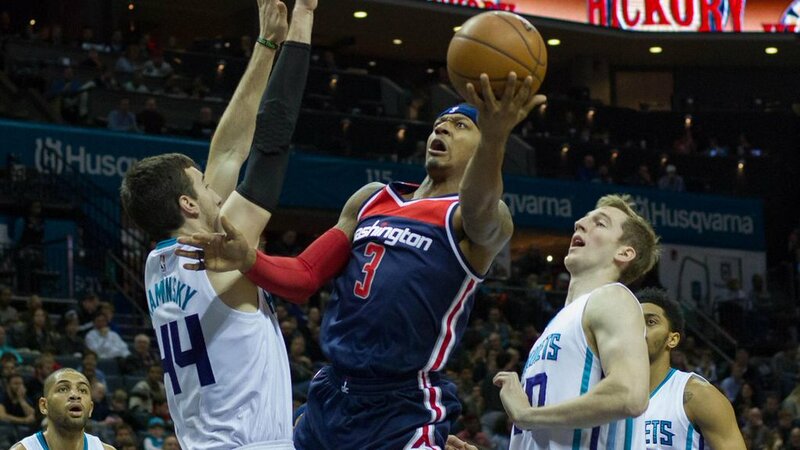 A couple of three pointers from Jared Dudley and Bradley Beal would spurt a 13-0 run for the home team. Even with John Wall shooting 0 of 6 in his first eight minutes of play, Washington was up 23-16 after one quarter. 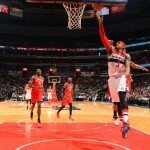 During the Washington Wizards third game of a four game stretch in five days, they were looking to snap their two-game losing streak to get back above the .500 mark. Unfortunately, with more turnovers than assists and getting killed on the boards, Washington saw things get out of hand early on. Without anyone having a good offensive night, things got even worse during garbage time in the fourth quarter before the Wizards eventually fell by a final score of 111-78. Things were promising early for Bradley Beal because of his aggressive nature to get to the bucket instead of settling for jump shots. The Florida product had the Wizards first three field goals. Ever since Kris Humphries made five three-pointers to help Washington beat the Orlando Magic, he has been ice cold and might be transitioned out of the starting lineup. Boston opened the game on a 22-8 run while cashing in on the boards for 11 second-chance points seven minutes into the game. 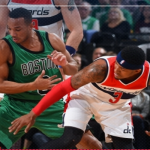 Nene would leave the game in the first quarter after reaggravating his left calf injury before the Celtics closed out the quarter with a 29-18 lead. On the front end of a back-to-back stretch, the Washington Wizards got lit up by Paul George and C.J. Miles for a combined 72 points on Tuesday for the Indiana Pacers. Washington was hoping to rebound Wednesday on the road against the Charlotte Hornets to go into their Thanksgiving day off happy. 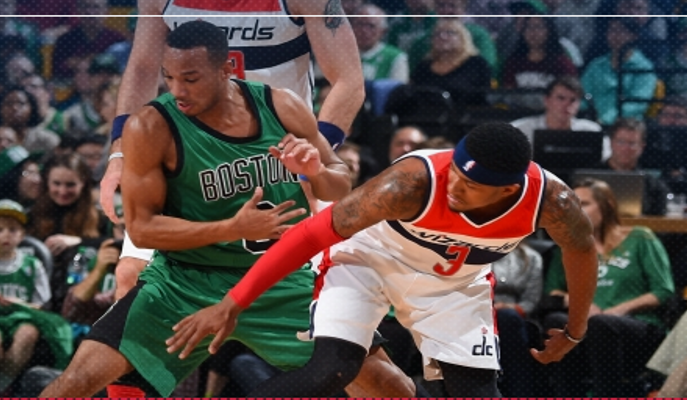 Unfortunately, things did not go that way as the Wizards got absolutely abused in the fourth quarter. Washington lost 101-87 as the Hornets ended the game on a ridiculous 25-0 run, sending the Wizards to a 6-6 record. 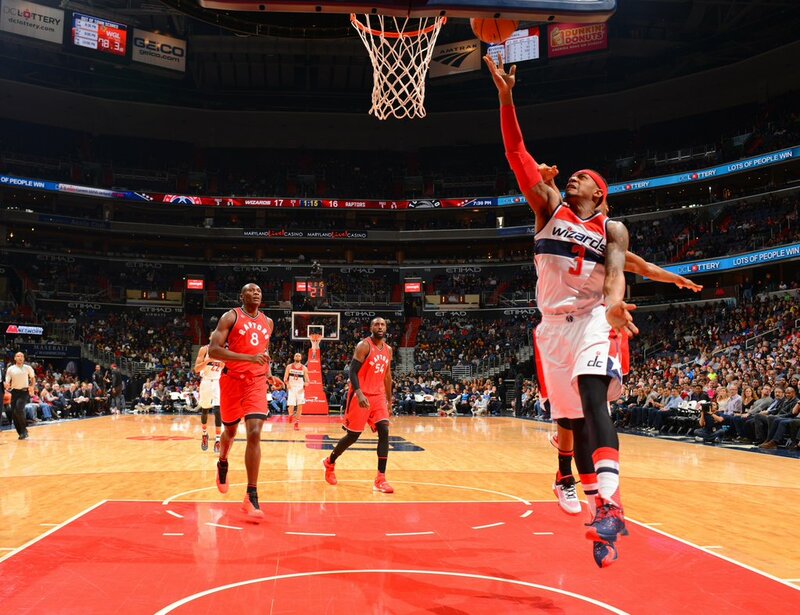 Washington got off to a hot shooting start thanks to three straight Bradley Beal 3-pointers. The Hornets responded by shooting 4 of 6 from beyond the arc as a team. Charlotte ended the first quarter on an 8-0 run against the Washington reserves to take a 28-24 lead at the end of the first quarter. For the second straight game since Bradley Beal suffered a left shoulder injury against the Atlanta Hawks a week ago, the Washington Wizards will be without the Florida guard’s services. Instead of Towson product Gary Neal getting the start, defensive minded guard Garrett Temple got the nod to play with the first unit. The Orlando Magic were in a similar predicament as they were without former DeMatha star Victor Oladipo. A back and forth game throughout, Kris Humphries and Garrett Temple were the heros for the Wizards on their way to a 108-99 victory to snap their three game losing streak. After starting the game with a backcourt violation, the Orlando Magic made their next four field goal attempts while Marcin Gortat missed a couple of chip shots from up close that he would like to have back. This forced Randy Wittman to call timeout just two and a half minutes into the game when down 9-3. The Magic would stretch their lead out to 15-5, but Washington would come roaring back with strong shooting from beyond the arc where they finished 5 of 10 at the end of one. Nene gave Washington a boost off the bench with 2 points, 2 beautiful assists, and 2 rebounds to outscore the Magic bench by 9. Although a John Wall floater at the end of the quarter was eventually waived off for coming a split second after the horn, Washington led 29-27. We are a day away from the return of the NBA where the Wizards will be in the Magic Kingdom to take on a young Orlando squad. Before we take a nose dive into the start of the season, lets look out somethings that we could expect when we reflect back after the season is over (hopefully in late June). Based on the offensive performance we saw during the preseason when the Washington Wizards flashed their new look small ball lineup, I am feeling really confident about their potential a year before Kevin Durant potentially returns home to DC. The following are five way too early (and optimistic) predictions for the Wizards this season, barring any major injuries like John Wall having multiple non-displaced fractures in his wrist during the playoffs. The Wizards’ power forward position may be the most talked-about position on the team (and perhaps around the league) this offseason. It also may be the biggest mystery. The Wizards experienced success vs. the Raptors and the Hawks in the postseason by utilizing Paul Pierce, Drew Gooden, and Otto Porter as a “stretch 4” alongside Marcin Gortat, rather than putting Nene at the 4 for a more slow, powerful offense.